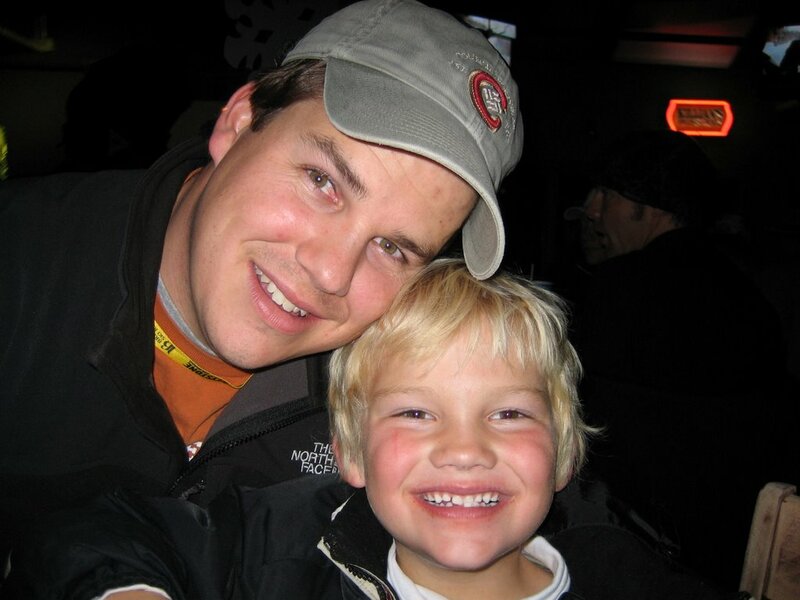 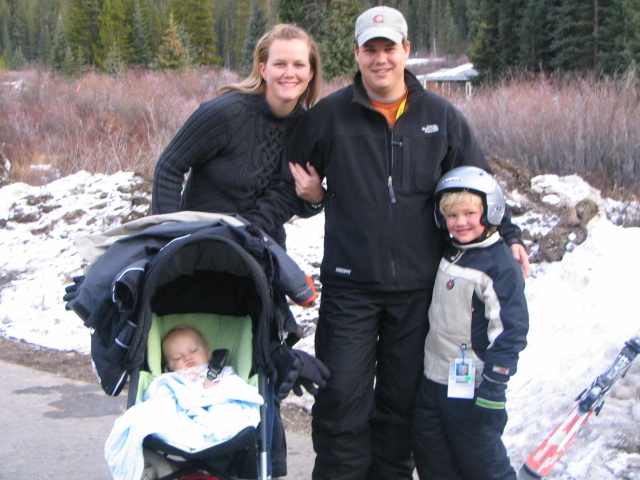 The Starnes Family: Ski Season Is Here! 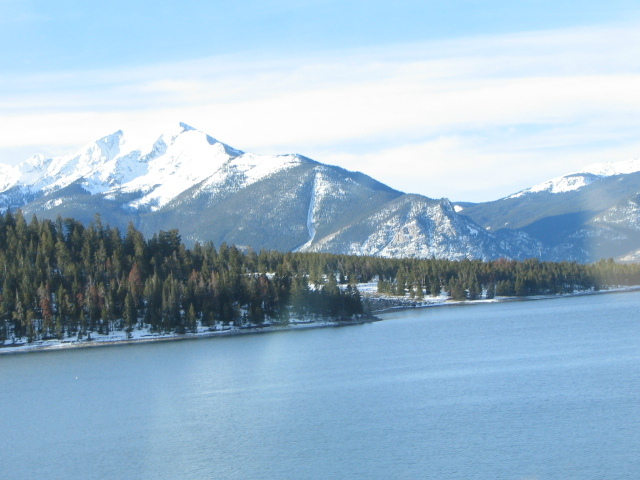 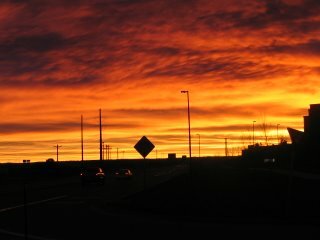 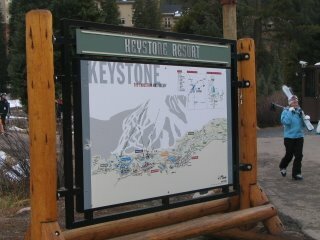 We woke early and headed out to Keystone Saturday morning. 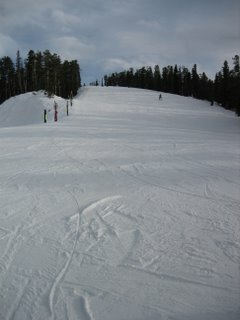 It was a nice day and ended up being quite warm on the mountain. 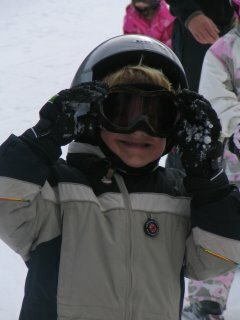 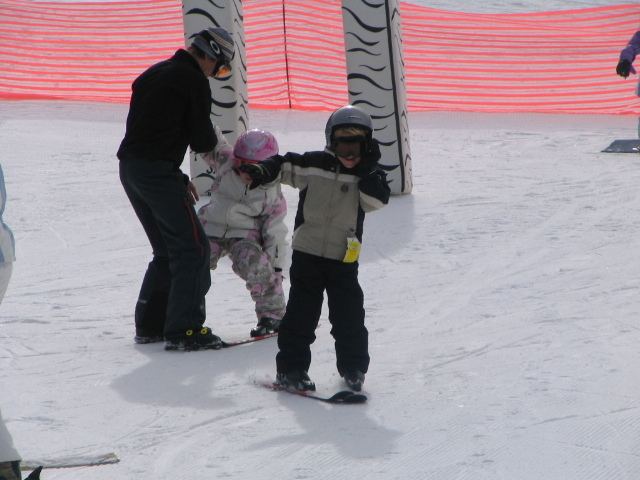 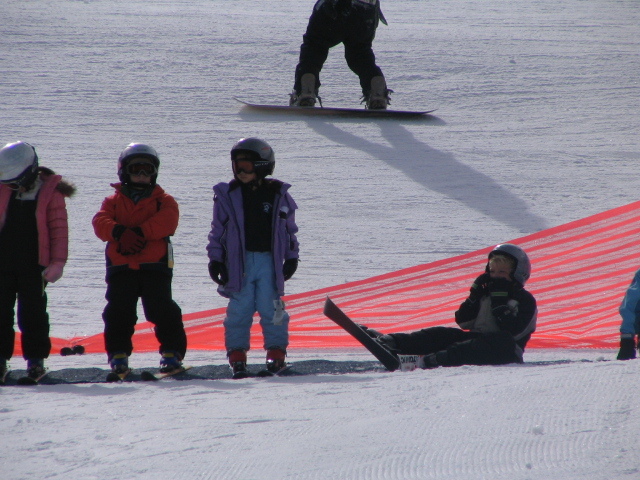 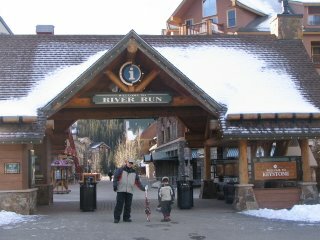 Carter took his first ski lesson...and probably his only one...Blake is hoping to teach him the rest. 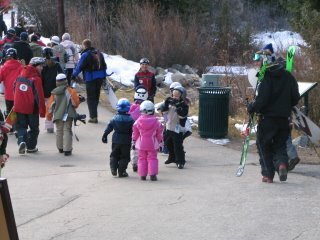 In fact, they're headed there right now. 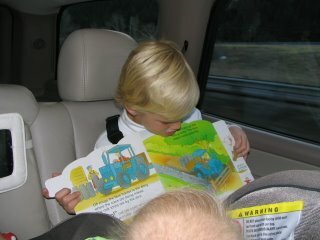 Carter had such a great time yesterday that Blake took him back this morning. 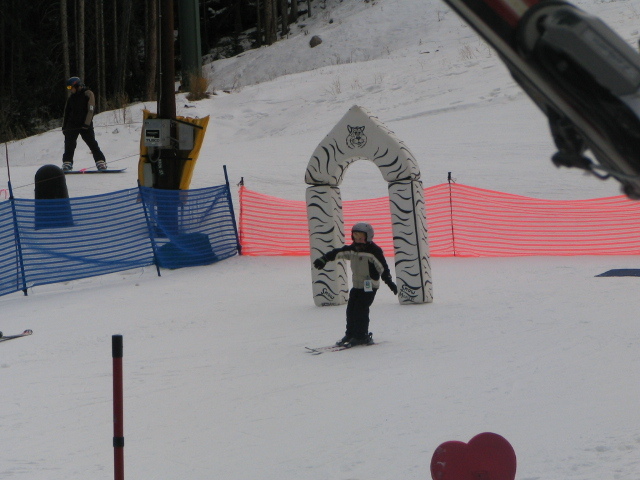 It's snowing here and at Keystone, so I stayed back with baby Jack. 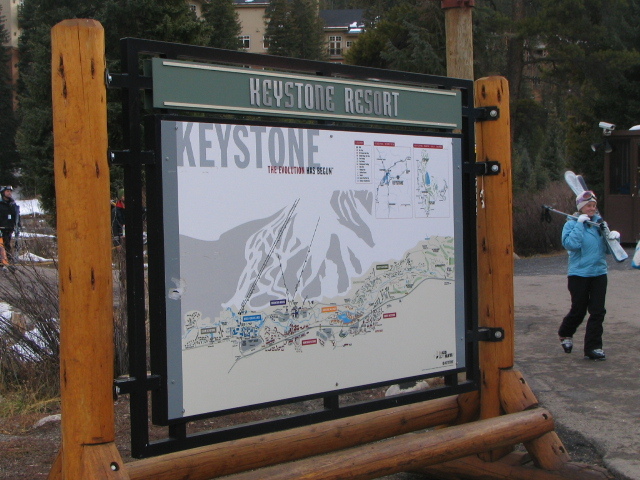 It was Keystone's "Formally Open" Party of the year yesterday. 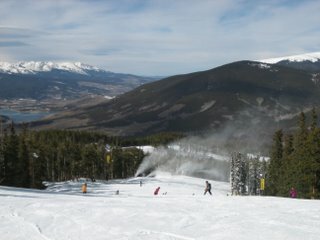 The resort celebrated its first official day open, although they actually opened last week because of the great snow Colorado has received already. It's a fun day there....many people are dressed in formals and tuxedos...and they ski in their outfits. Carter loved every minute! Sweet Carter reading to Jack on the way there. 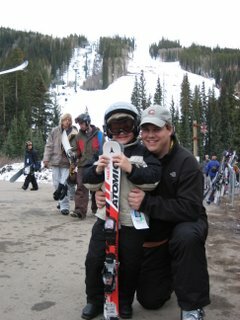 Blake and Carter, about to head up the mountain. 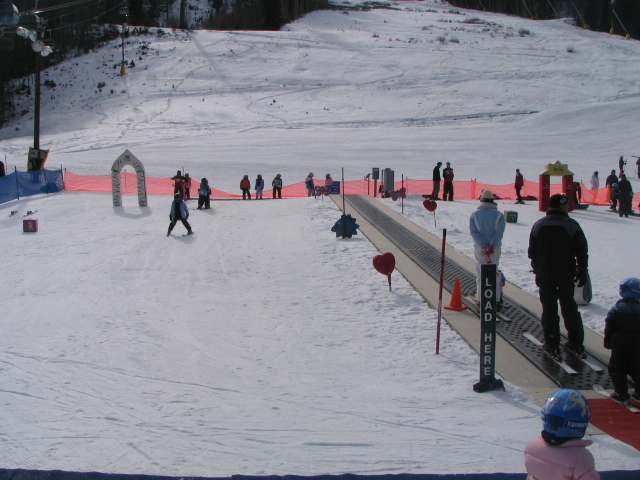 From the top...they were making snow on the trails not open. I take the easy way down! Greens and blues! 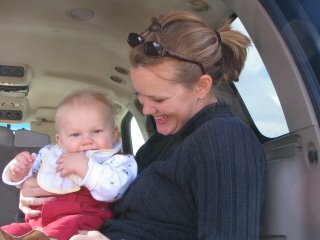 We walked out to the car to eat a picnic lunch and to let Jack stretch out in the back of the truck. 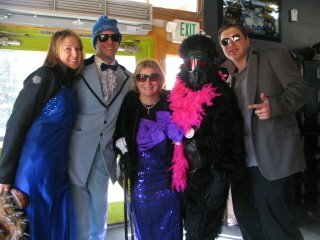 Some of the people dressed up to ski. 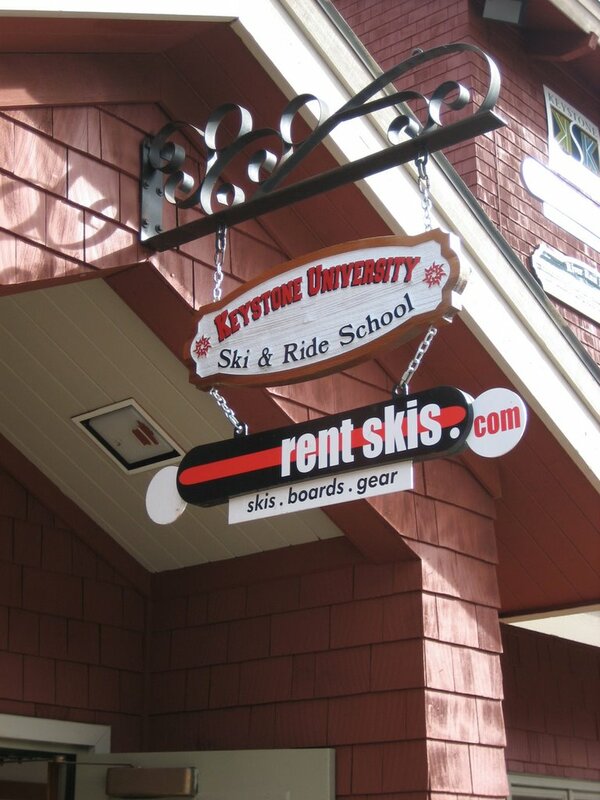 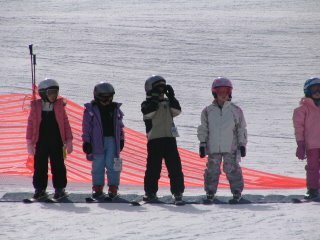 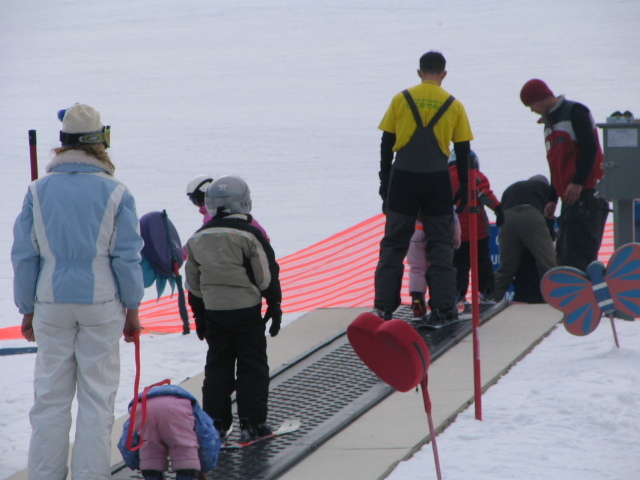 Just a glimpse of Carter and his ski class heading to the mountain after a lesson inside. Carter, at first, having a hard time staying on his feet - even in line! 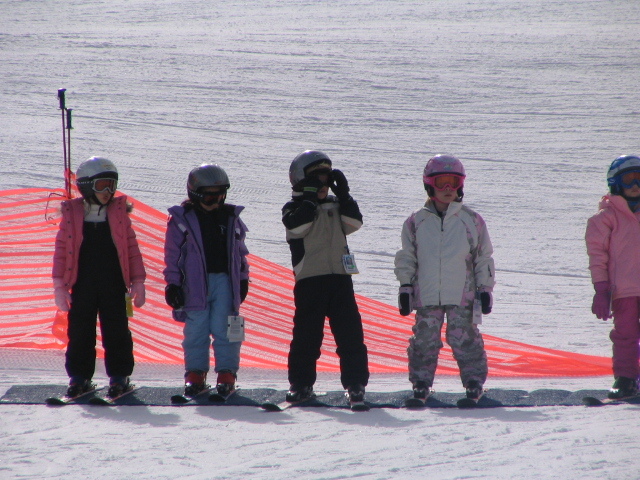 All the kids, waiting their turn. Carter goes fast!!! Too fast for me to watch. Headed up the "magic carpet"...the conveyer taking kids up. 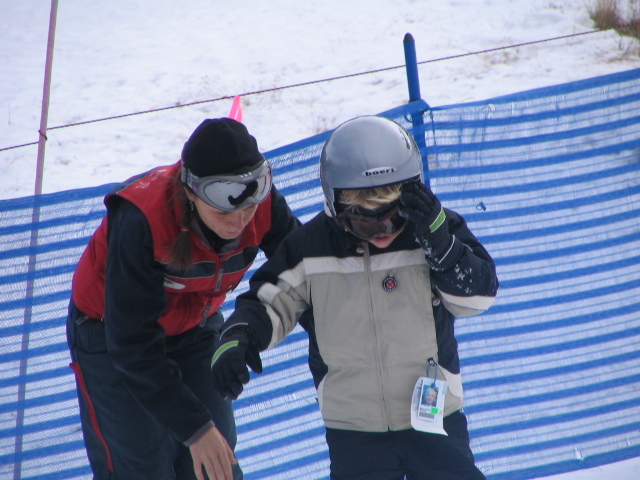 Getting some help from his instructor. 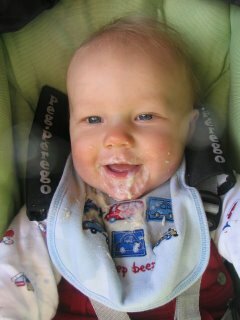 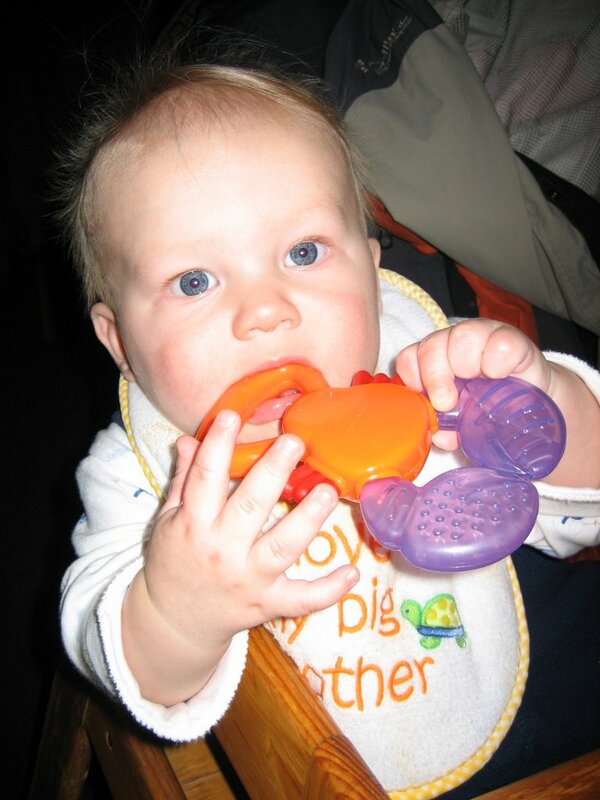 Baby Jack, first time in the high chair at dinner. 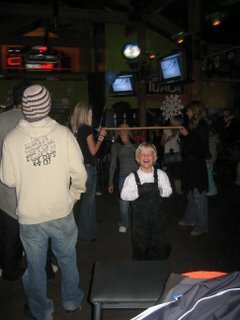 Carter playing limbo...he learned this in Mexico last year and loves it!